Valentine’s Day may have been yesterday, but today we’re feeling the warm fuzzies for one of the world’s most playfully adorable mammals in our Significant Otters Design Challenge. Our hearts aren’t the only ones that have been stolen, either! 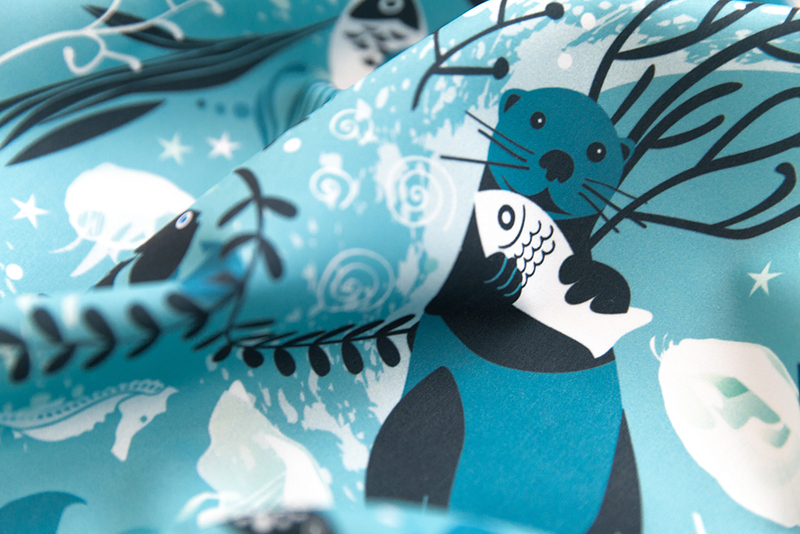 The Spoonflower community has declared their otter-love for grand prize winner camcreative, who will be receiving a $200 Spoonflower credit for her design, From One Otter to Another. 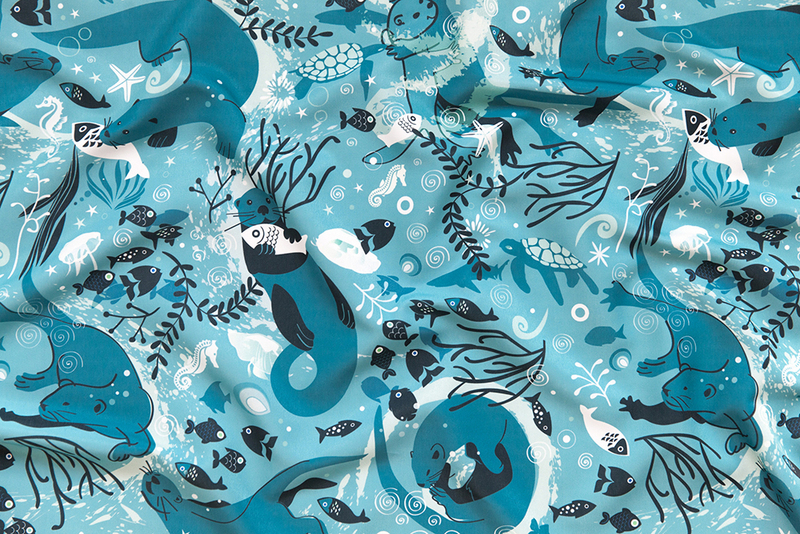 We’re equally enamored with second place (christinewitte) and third place (irenesilvino) winners who will be receiving $100 and $50 in Spoonflower credit, respectively. See the top ten collection here. [Read more…] about Announcing the Love is In the Air Winners! Vote For Your Favorite Love Is In the Air Designs! Can you feel it in the air? No, not the Winter chill – it's Love! 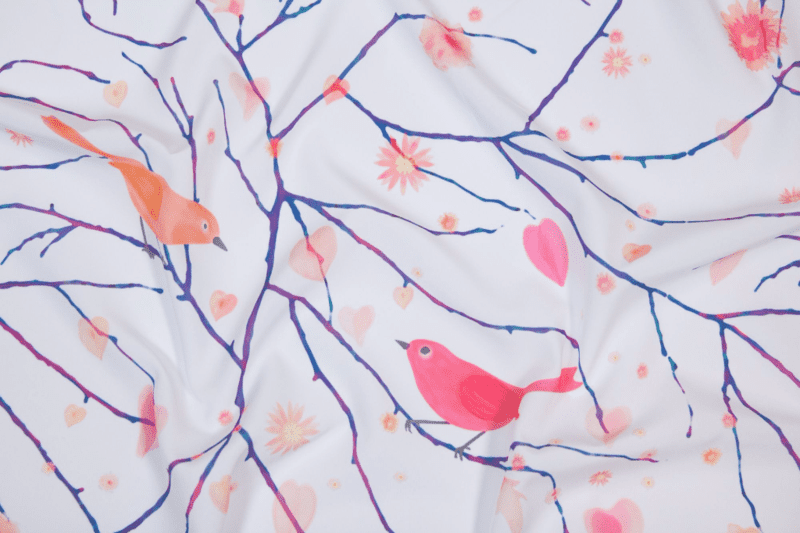 Animals, humans, and weather patterns all make an appearance in this week's Love is in the Air design challenge. Vote now for your favorite artistic declarations of affection. Announcing the winners of our #SFSewInLove contest! [Read more…] about Announcing the winners of our #SFSewInLove contest! Is it love…like…lust? Or maybe just laughter? We want to know how you celebrate Valentine's Day. Submit photos that best capture what makes you happy, or let us see what you're making this Valentine's Day! Directly upload an entry or submit your photo with #SFSewInLove on Facebook, Instagram or Twitter before Monday, February 8th. Beginning February 8th, the public will be able to vote on their favorite photos. Three winners will receive a prize pack from our friends at Fiskars with all the supplies you need to stay crafty in 2016! Voting will close on February 14th at 6 PM (Eastern), winner announced on Monday, February 15th. 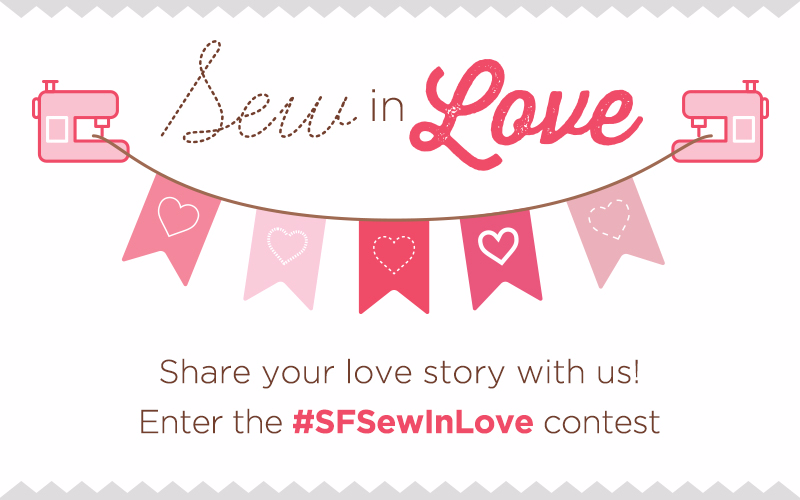 [Read more…] about Announcing the #SFSewInLove Contest! I don’t know about you, but this week’s winter weather has me wanting to stay inside and wait for spring. While the snow and ice is starting to melt here in North Carolina, I’m still planning to spend my Valentine’s Day cuddled up and warm at home. 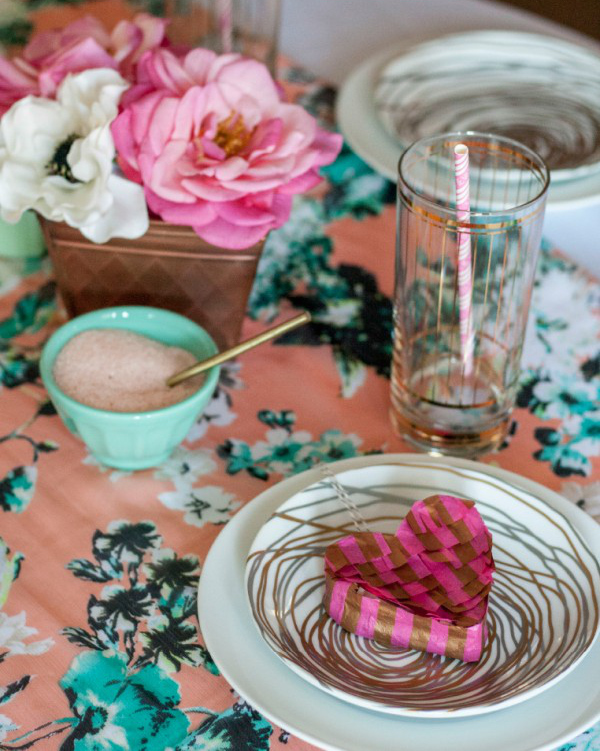 If you’re staying in too, here are 5 things to inspire a celebration of all things heart shaped and lovey-dovey on Valentine’s Day! 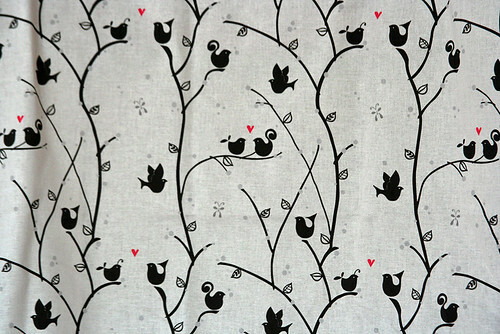 FEAST YOUR EYES on all of the gorgeous heart designs on the Spoonflower Marketplace. Sign into your account to favorite the designs you love to keep track for future projects. I’m loving this Queen of Hearts collection by PennyCandy. The design featured here is Open Your Heart. FOLD AN ORIGAMI HEART in five different ways. You can use them to embellish a valentine or simply give them to someone you love. 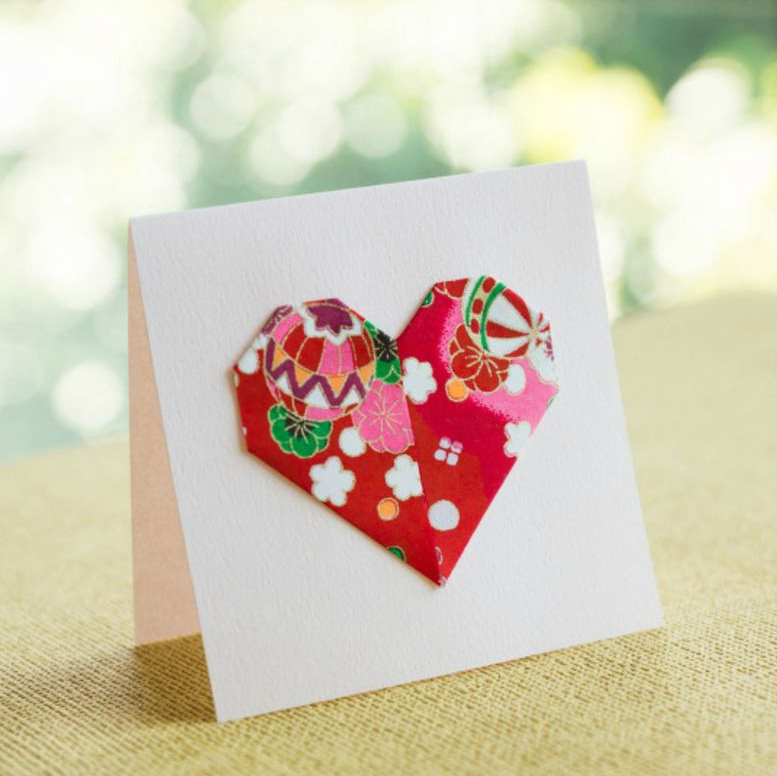 EMBROIDER a handwritten message from the heart. RAID YOUR PAPER STASH (and perhaps the recycling you’ve avoided taking out in the snow!) 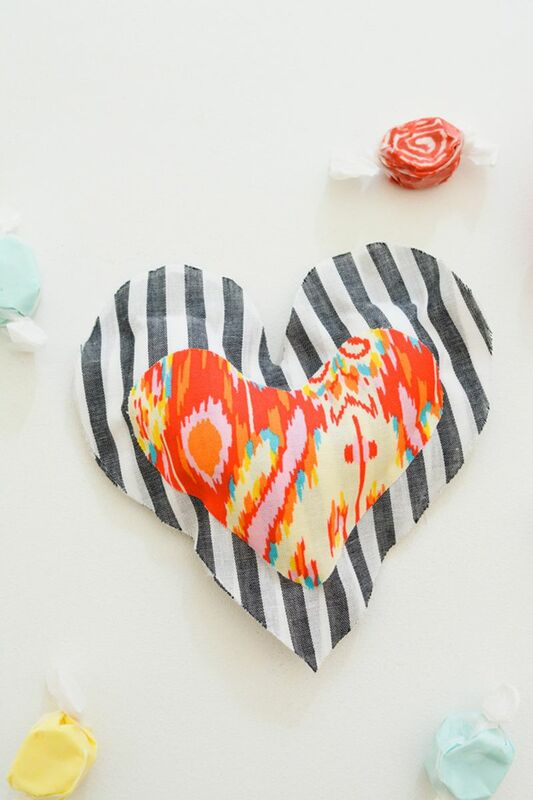 to create beautiful, mini heart pinatas. 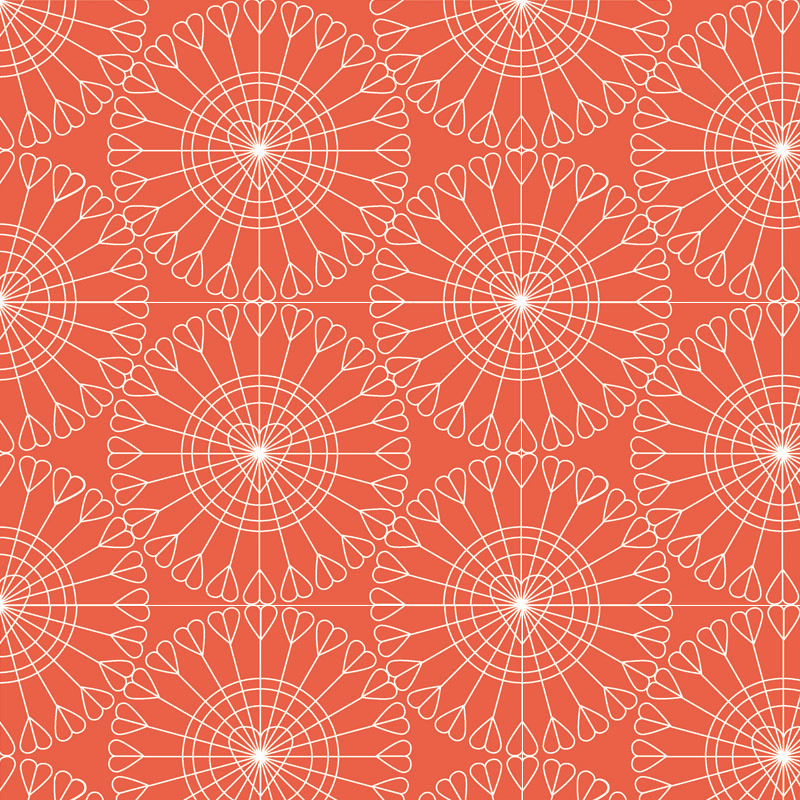 PRINT THIS PATTERN to create a patchwork anatomical heart and applique to anything you like! Hope these will keep you from going stir crazy on a Valentine’s Day in! I can't help it– I'm hopelessly in love with love as much as I'm in love with fabric and yarn! 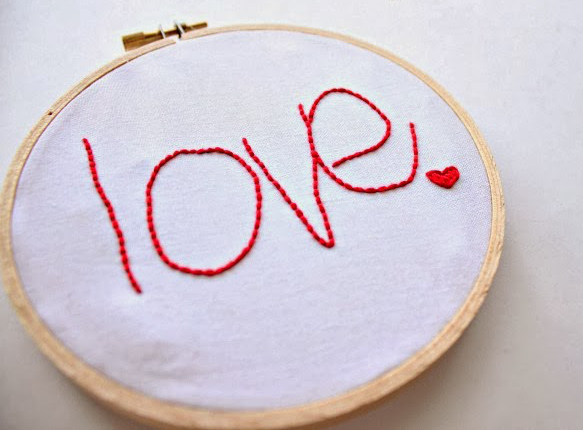 With Valentine's Day coming up on Friday, we've rounded up some quick projects that you can sew, knit, or crochet this week to show someone how much you care. The best part is, you can finish most of these with yarn and fabric you probably already have in your stash! 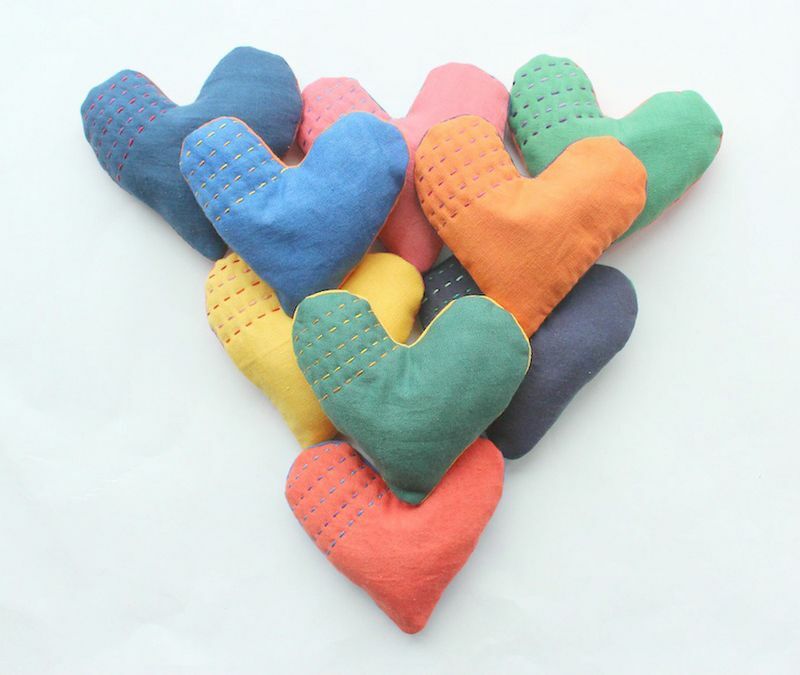 SEW lavender heart pillows that will smell amazing and add a pop of color to your space. 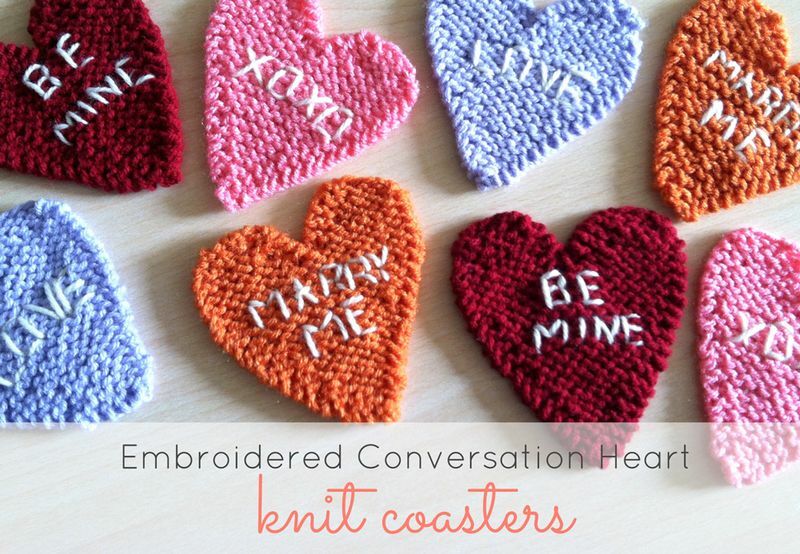 KNIT a set of conversation heart coasters to say how much you care. 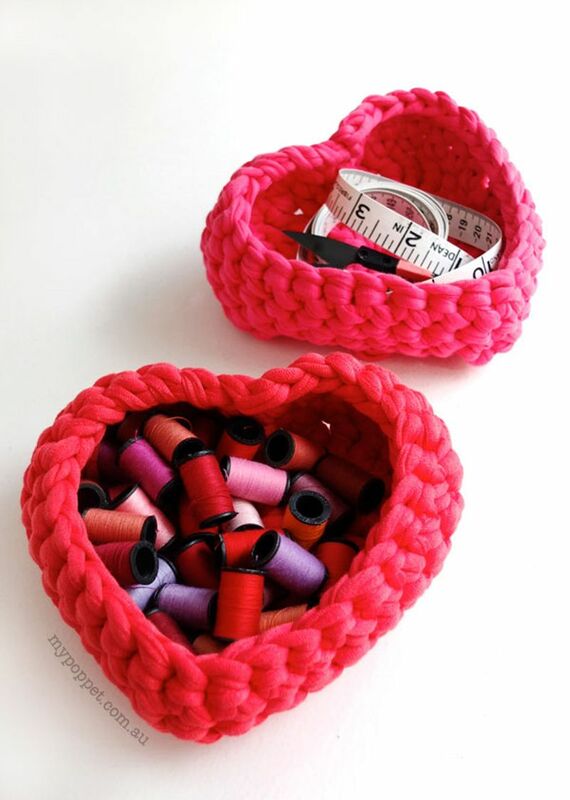 CROCHET heart shaped storage baskets– who doesn't love a cute place to store odds and ends?! 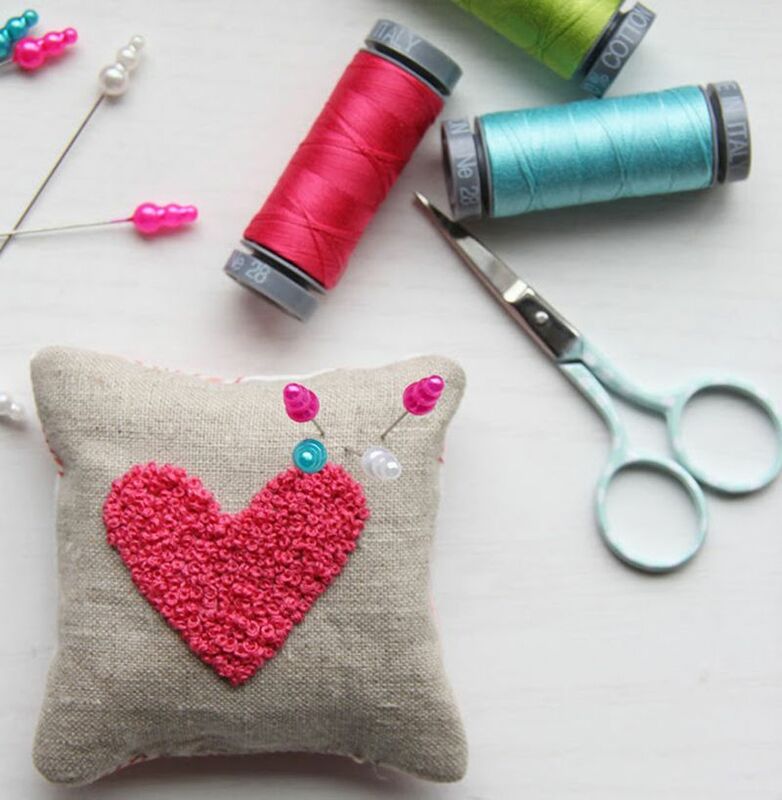 EMBROIDER a heart design in french knots to make the perfect gift for your crafty friends! 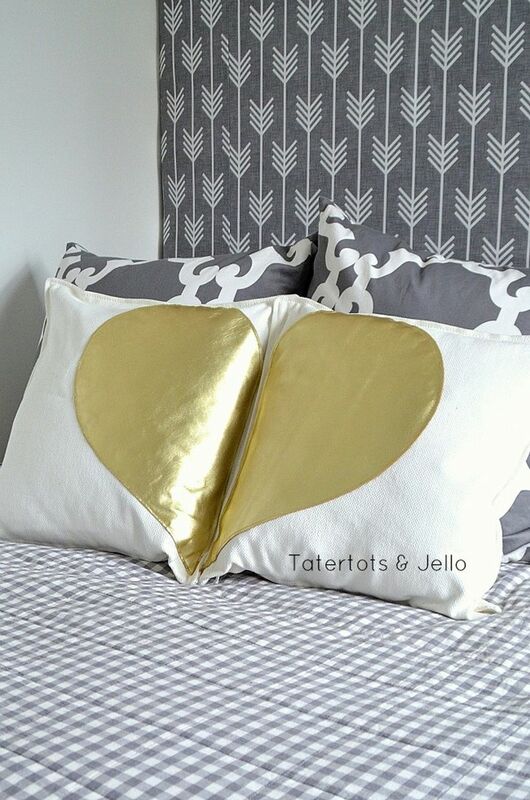 SEW a set of pillows to complete a heart of gold! 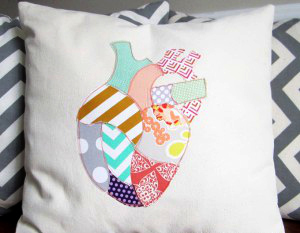 "SEW" these super-simple but oh-so-cute heart pillows with permanent fabric tape. Whether you celebrate Valentine's Day or choose to hide from the droves of bears, chocolates, and balloons on Friday, we hope you'll take some time this week to celebrate all of the love and friendship in your life! We'd love to know your favorite way to tell someone you care, so please do share in the comments! Who wouldn't want to wake up on Valentine's Day to a mailbox full of love letters? Our contest this week delivers all the love you need, so be sure to check out the top ten fabrics from our love-letters-themed competition. The winner is Amel24 of Shiny Orange Dreams, with the Sweetie Darling! design pictured above. Congratulations to her and the rest of the winners! 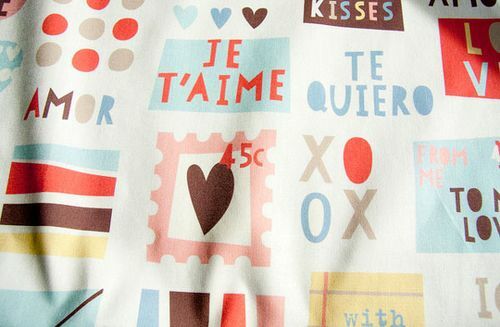 We had 81 entries in our love-themed Fabric Of the Week contest, so this week you'll have three pages of designs to peruse. As usual, you can vote for ALL the designs you like. Happy Valentine's Day!